Most physicians will recommend that injuries like knee sprains or bruises may be treated at home with the RICE method – rest, ice, compression and elevation. Over the counter medications can also be used to help with pain and discomfort. But if you find that this method isn’t lessening your pain and symptoms after a few weeks, a doctor’s visit is probably in order. A sore knee that refuses to get better could indicate a torn muscle, torn cartilage or even a torn meniscus – which won’t get better without a doctor’s intervention. Instability in the knee – or the feeling that your knee will collapse if you put pressure on it – often indicates a ligament injury. Injuries to one or more of the knee ligaments, which are the structures that connect the bones, can lead to the bones not being held tightly enough in position. If they are stretched or torn due to an injury, instability is one of the most obvious warning signs. While it is also possible for people to experience instability symptoms from less severe knee injuries, the only way to tell the difference is by having your knee examined by a doctor. When your knee is bothering you, pay attention to the rest of your health. Symptoms to look out for are sudden swelling, redness, fever, chills nausea or a warm feeling in the knee. These symptoms may indicate infection in the joint, also known as septic arthritis. If bacteria get into your joint, delay of treatment could lead to permanent disability or even septic shock – so see a doctor as soon as possible. If you’re unable to increase your pain level by touching or pushing on your knee, the source of the pain may actually be caused by problems elsewhere in the body. For example, sciatica – a condition in which a disc in the lower back presses on a nerve – can cause pain down the leg and through the knee. Hip injuries may also cause knee pain. So if you push around in your knee and it doesn’t hurt, consult a doctor to figure out what’s really going on. If your “bad” knee looks deformed or different than the pain-free side, you should see a doctor as this may indicate a fracture, patella tracking injury or dislocated kneecap. If the pain in your knee is causing you to walk with a limp, preventing you from sleeping well or reducing your quality of life, visit your doctor to learn the cause of the pain and possible treatment options. 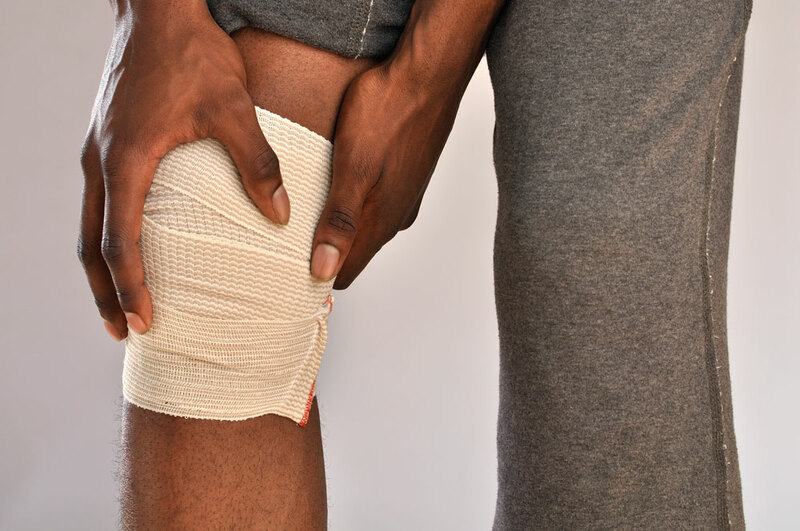 If you experience an acute knee injury and is accompanied by a popping noise, intense pain, sudden swelling or inability to bear weight, ask someone to drive you to urgent care or the emergency room.